This past weekend was such a breeze. I did nothing but relax(mainly because I have the cold). However, I did manage to go out for the most delicious ice-cream I had to date. I wore this copper silk top from Zara's. The weather was perfect, so I slipped the shoulders of the side of my top( clearly I thought I was at home) just to feel the warm sun on my skin. A messy bun and my favorite slip-on completed my look. Sometimes a little, is just enough. It's been in the 60 to 70 degree's ratio, so ice-cream was a must! 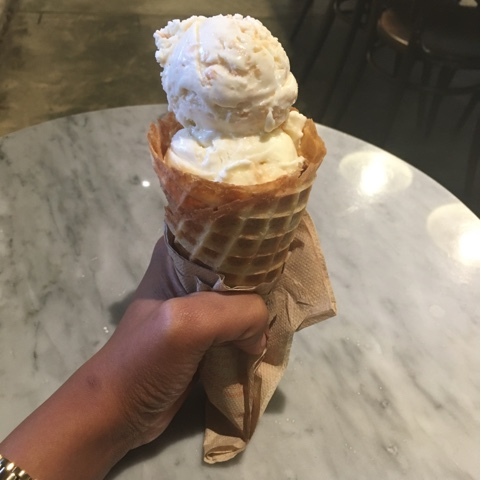 I had double toasted coconut and almond toasted brittle(mouth waters just saying that combo don't it?). 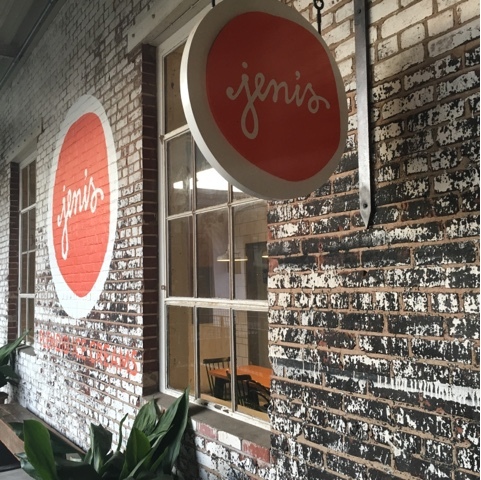 BTW if you are ever in Atlanta check out Jeni's Splendid Ice Cream you won't be disappointed! You look fab! The weather looked perfect!